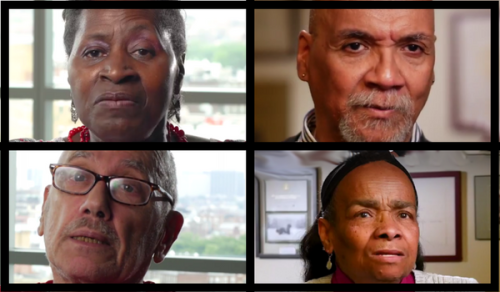 In celebration of National Coming Out Day on October 11, SAGECare and our partner the Center for Consumer Engagement in Health Innovation want to share the vibrant voices of LGBT elders. Many of the people in the videos embedded below discuss the various consequences of neglecting to disclose your sexual orientation to your doctor. If a doctor assumes that you’re heterosexual, you may end up missing out on an array of important services you need and deserve. Many doctors respond to this issue by saying that there is no need for patients to disclose their sexual orientation, stating that this information wouldn’t cause them to treat a patient any differently. While these reassuring words may be said with good intentions, it’s important to be able to openly discuss these matters. That way, doctors can ensure that their patients are receiving completely person-directed care, including all the relevant information, treatments, and help that speak to their specific needs. While great progress has been made, statistics show that many LGBT people, and transgender people in particular, are still subjected to some of the most painful discrimination when accessing healthcare. This includes, but is not limited to, when people seek medical services related to gender reassignment. Many older LGBT adults say that medical visits are easier for them once their doctor knows their sexual orientation. After having this conversation with their doctor, many patients report that they no longer feel like they have to censor themselves or worry about being judged or discriminated against. Once the information is out in the open, patients can count on their doctor’s office to be a safe space where they will be treated with respect.